Lesotho's Lebenya Nkoka and Russia's Nina Podnebesnova secure victories in the men's and women's races at the 56km Old Mutual Two Oceans ultra-marathon 2014 in Cape Town, South Africa on Saturday. Nkoka secured his maiden victory at the Two Oceans Marathon after breaking clear of a three-man lead group with less than 10km remaining to win the annual race in 3:09:52. Local favourite Hendrick Ramaala fought back in the closing stages, after dropping off the pace, to grab second place in 3:11:33 on his ultra-marathon debut. Nina Podnebesnova of Russia won the women's race in 3:40:07, and Paulina Njeya was the first South African woman home, taking fifth position in 3:50:48. South African Stephen Lesego Mokoka won the Two Oceans half-marathon race in a time of 1:04:16 and was closely followed behind by Joel Mmone and Sibabalwe Mzazi who both came in at 1:04:29. Benedict Moeng took fourth position with 1:04:40. 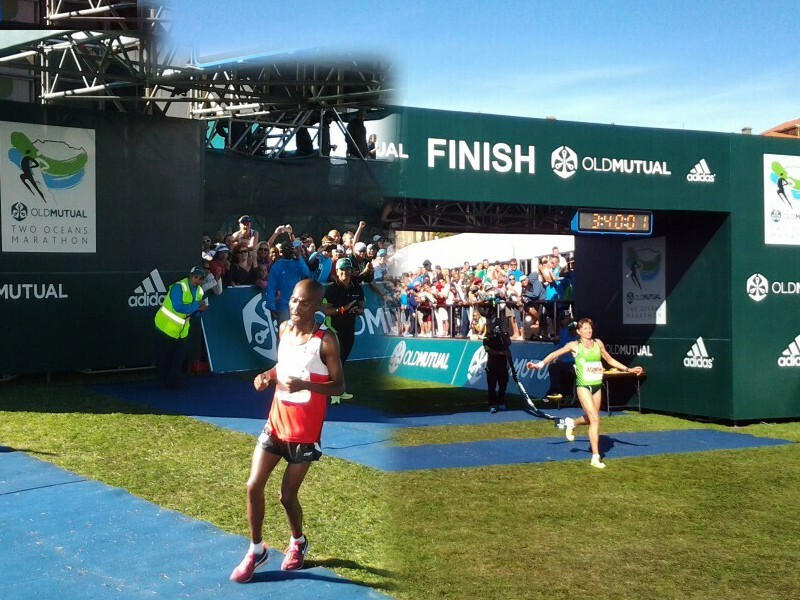 Lebo Phalula of South Africa won the women's half-marathon in 1:14:00 ahead of compatriot Rene Kalmer (1:14:23).